Peatland is a wetland ecosystem that is found across the world. Year-round wet conditions slow the process of plant decomposition so that that partially decomposed organic matter accumulates to form what is called ‘peat’. Over thousands of years this material builds up and becomes several metres thick. 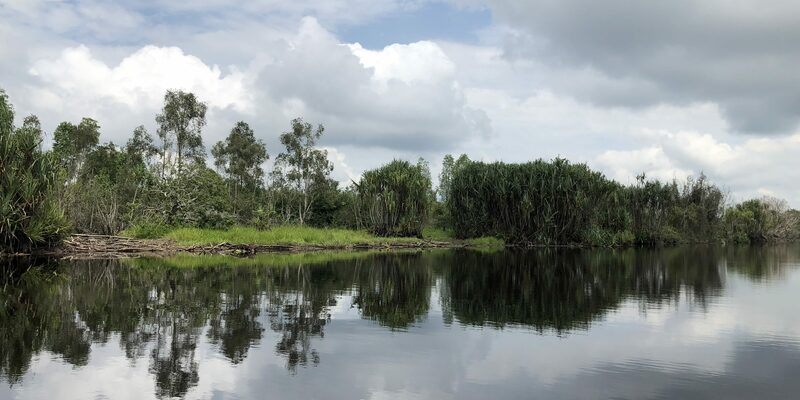 Healthy, wet-state peatlands are not only critical habitats for a wide range biodiversity, including endemic species, but they provide vital ecosystem services. They regulate water flow which minimises floods and droughts. They supply food, fibre and other products that support local communities. Peatlands store a very high concentration of carbon per square metre because of the partially decomposed plants. Not only do they store carbon, by they act as a one of the largest natural land-based carbon sinks, taking in carbon from the atmosphere. There is just over 3 million km2 remaining of natural peatland in the world, or 3% of the world’s land area. However, this area contains more than 550 gigatonnes of carbon, representing 42% of all soil carbon worldwide. The concentration of carbon in peatland is disproportionately high to its land area and can be as much as 10 times the concentration of any other ecosystem, including forests. 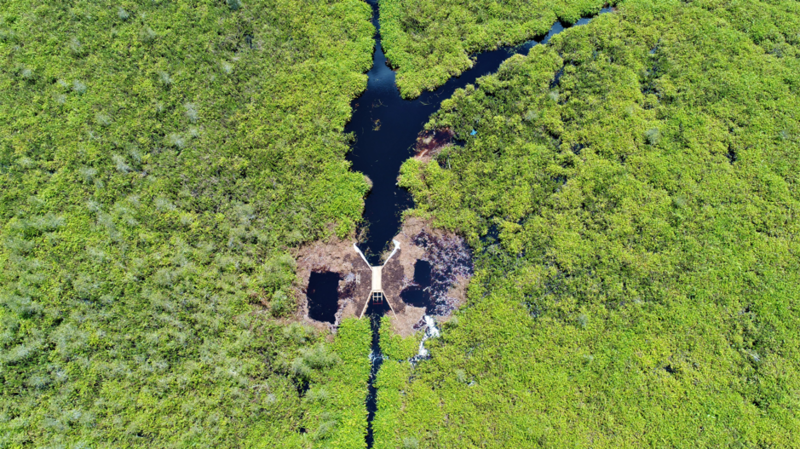 When peatland ecosystems are disrupted, often through draining of water, stored organic carbon – which has been built up over thousands of years and is normally underwater – is exposed to the air and starts to rapidly decompose. This process releases carbon dioxide into the atmosphere and increases the risk of fire as the organic matter dries and becomes highly flammable. When intact peatlands are drained, carbon emissions can increase by up to 50%. Even more carbon is released when peatlands are burned, whether from forest fires or land clearance to grow palm oil. Unfortunately, peatlands are highly threatened around the world and their degradation is now a major source of global carbon emissions. Peatlands are drained and burned for a variety of reasons, including plantation development, agriculture and use of peat for fuel. Indonesia contains 50% of global tropical peatlands. Here, peat is formed in domes (see the diagram below). However, the landscape is under serious threat as the rate of deforestation to clear land for commodities like palm oil is increasing faster than anywhere in the world. Fires in Indonesian peatland forests in 2015, for example, emitted nearly 16 million tonnes of CO2 a day. That is more than the daily emissions from the entire US economy and had a huge economic impact, twice that of the Tsunami in 2004.. This has also resulted in loss of critical habitat for endangered species such as the Sumatran Tiger, of which there are only 400 left in the wild. 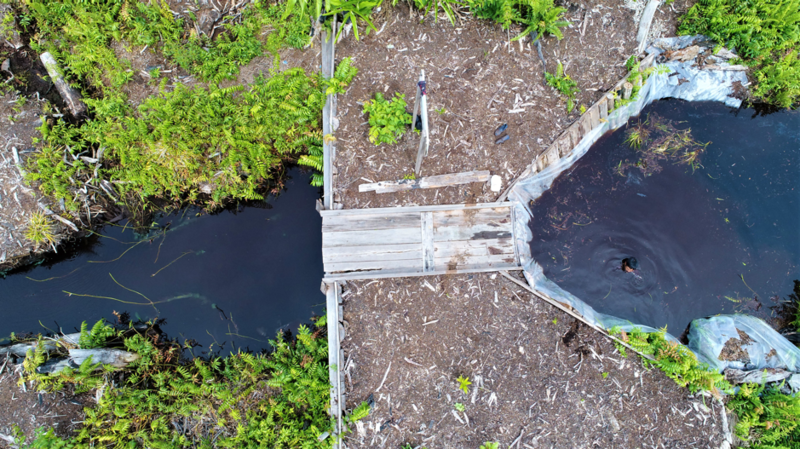 Read our blog about the production landscape of South Sumatra to learn more about how peatland is being cleared for the growing of commodities. We provide climate finance for the Sumatra Merang Peatland restoration project, where over 22,000 hectares of critical peatland area is being restored. This area is in the centre of the Merang Peat Dome, which is the last contiguous peat dome in Sumatra covering 150,000 ha and is a High Carbon Stock zone. One of the focuses of our project is on the hydrological management to rewet the peatland. Water drainage in surrounding areas as a result of logging and plantation development has caused critical degradation of peatland areas within the project. Makeshift canals, once used to transport timber in illegal logging operations, have further degraded the area, leading to significant changes to the water table. With peatlands drying up, fire is the biggest risk to the project and in 2015, before the project started, a fire spread from a neighbouring plantation, wiping out large parts of the standing forest. Project teams work on canal blocking and dam construction to increase water levels and restore the habitat to its natural hydrological state. Since the beginning of 2017, the project has built more than 75 dams to restore natural water levels. Vegetation regrowth in the habitat is already evident across the 2015 fire zone, with peat depths measured as high as 5 metres in some places. This work is made possible through the climate finance and the support of our clients, mitigating 1.2 million tonnes of CO2 per year.